What do these three words have in common? TriBonds or, as it is sometimes called, the Game of Threes is yet another way to practice higher level thinking. Finding the common link that joins three words, that on first glance seem to have nothing in common, requires analysis and deductive reasoning. Just another way to help children learn to think outside the box, and yes, box is the answer to that first TriBond. Play the board game. Here is the kids’ version. 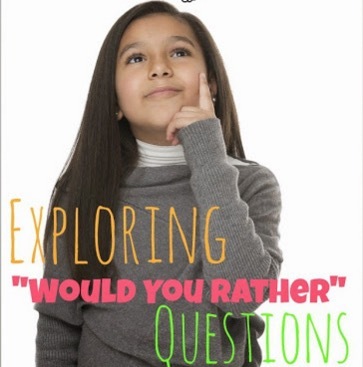 Make a worksheet in which students need to give the connecting word or concept. Or use these. Have students come up with their own TriBonds. I have found the best way to do this is to come up with a common word and then try to find three words to go with it. You could combine all of your students’ TriBonds into one activity for the whole class. 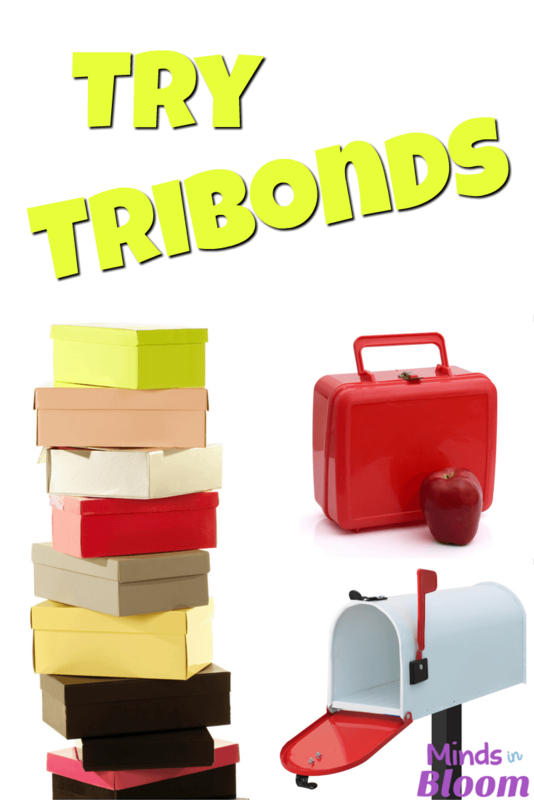 Keep a list of TriBonds (or the cards from the game) nearby for those extra few minutes between lessons. Make them up as a game in the car, while waiting for the dentist, etc. I know I should probably give the answers. But then what fun would that be? 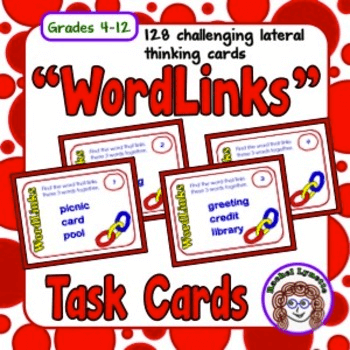 If you like this activity, you may want to check out “WordLinks” Task Cards. Wish it had the answers — sigh…. Would really like to know the answers since this would be a good activity. Pretty much useless since the answers aren’t provided.